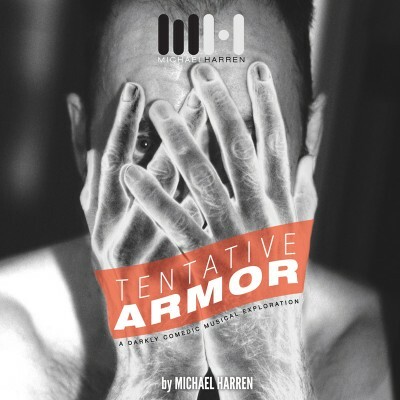 In his emotionally raw yet darkly hilarious Tentative Armor, Michael Harren combines piano, synthesizers, a laptop and live string players with his unique storytelling, resulting in a deeply moving, highly entertaining performance. In its book form, Tentative Armor captures Harren’s resonant, powerful, very personal stories, and immerses the reader in a funny, poignant, highly intimate tour of his own self-discovery through spirituality, sexuality and grief. The entire text of the show is combined here with video stills from the show’s premiere at NYC experimental performance landmark Dixon Place along with original photos by luke kurtis of bd-studios.com.